Freediving is about silence, the silence that comes from within. Mantaray Island Resort was Fiji’s first accredited SSI Freediving operator. You have the opportunity to learn the art of freediving over a two to three day period while exploring the pristine waters of the Yasawa Islands. You’ll be blown away by what the human body can do and the marine life you’ll see will be breathtaking. 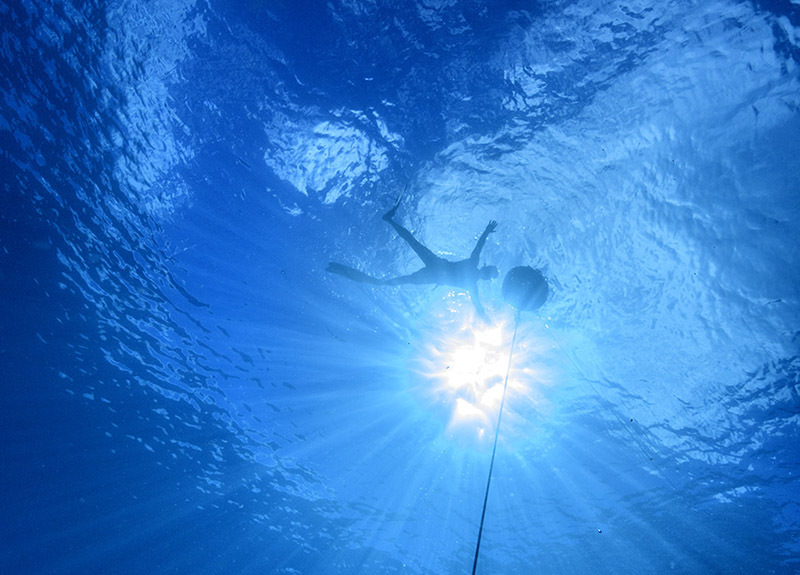 Freediving is the art of diving on a single breath (ie. no tanks). You are taught breath hold techniques and how to minimize muscle use to preserve oxygen in the blood stream. 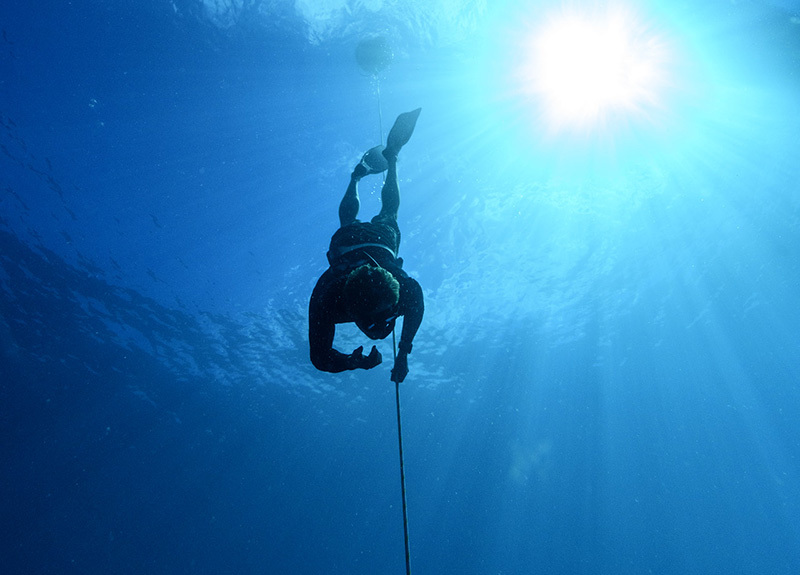 The SSI level 1 qualification will enable freedivers to reach a depth of 20m (60ft) on a single breath. 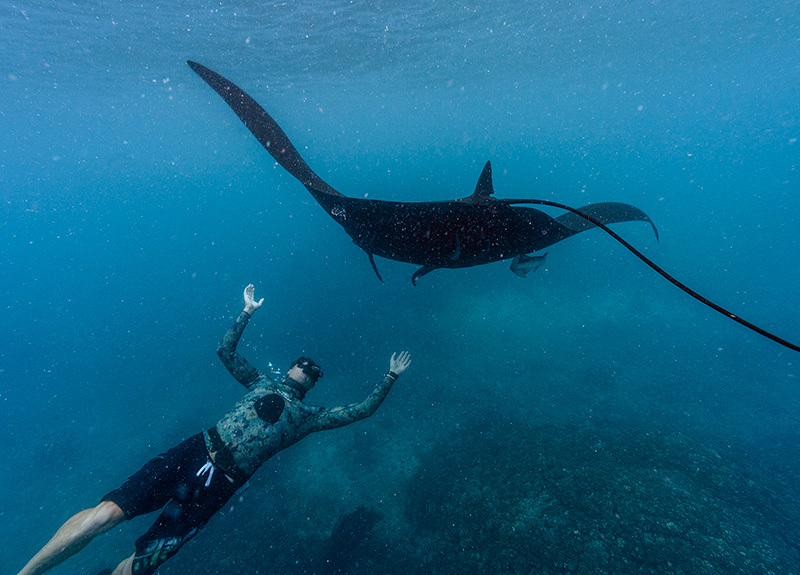 During the manta ray season (May – October) it is possible to have the opportunity to freedive with manta ray or to go for a guided freedive session with a member of the team. Mantaray Island Resort is the only place in the world where you can learn to freedive then use your newly acquired skills to experience firsthand one of the most magnificent marine creatures in the world. The manta ray channel is only 6.5m deep. You will learn to free-dive to 20m during the freedive course. 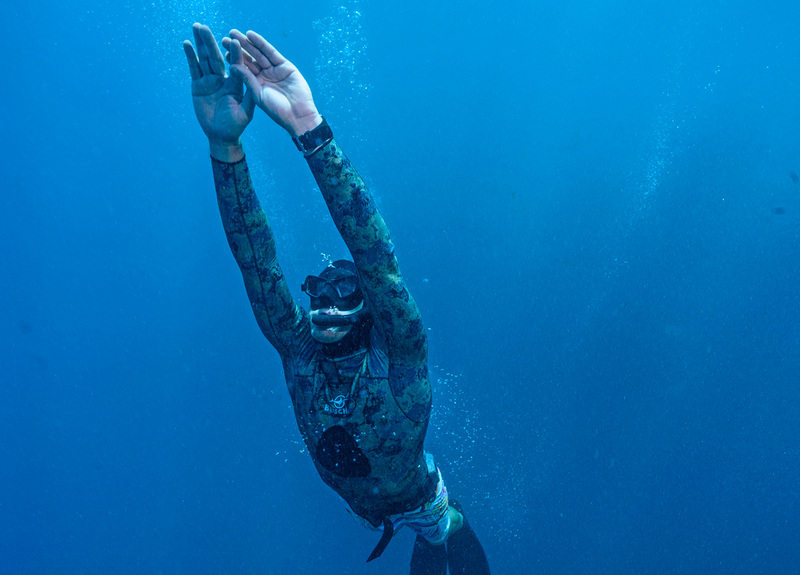 Freediving is also a handy skill to have if you’re a Spear fisherman. Learn to freedive with a dive line, or along a reef, using bi-fins to maximum depth of five (5) meters, focusing on: relaxation, duck diving, equalization, finning and surfacing techniques. 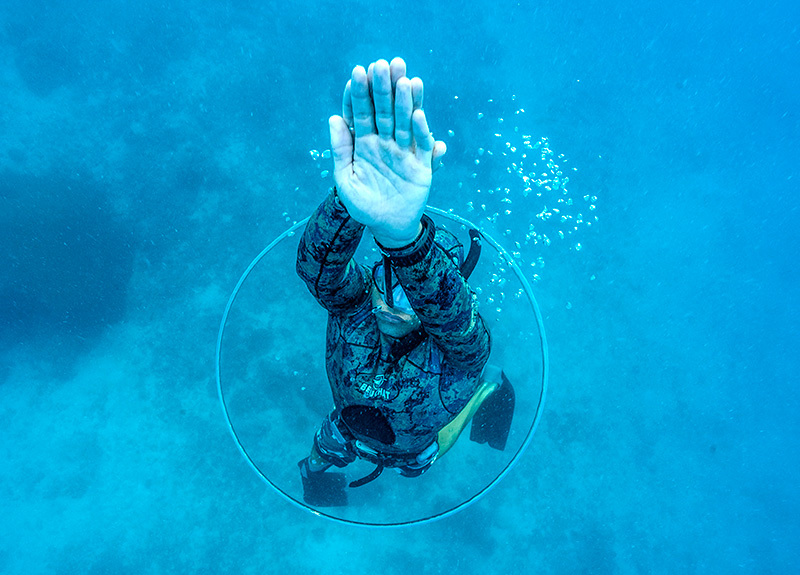 Certified Basic Freediving freedivers are qualified to freedive autonomously with an equally- or more-qualified buddy, in environments and to a depth equivalent (5m) with their training. The level 1 SSI freediving course is a great introduction into the highly addictive and rewarding world of freediving. The course is completed in 8 – 12 hours over 2-3 days and a great way to test your limits and explore the underwater world on a single breathe! The course consists of practical and theory sessions including a minimum least 4 in water sessions teaching you the essential skills to take your freediving to the next level. We focus on breathing techniques, finning and streamlining techniques taking you to depths that you never though possible (max 20m). During the course we get the chance to explore magical reef systems and even swim with the manta ray during the season (May-October). Come free fall into the blue! 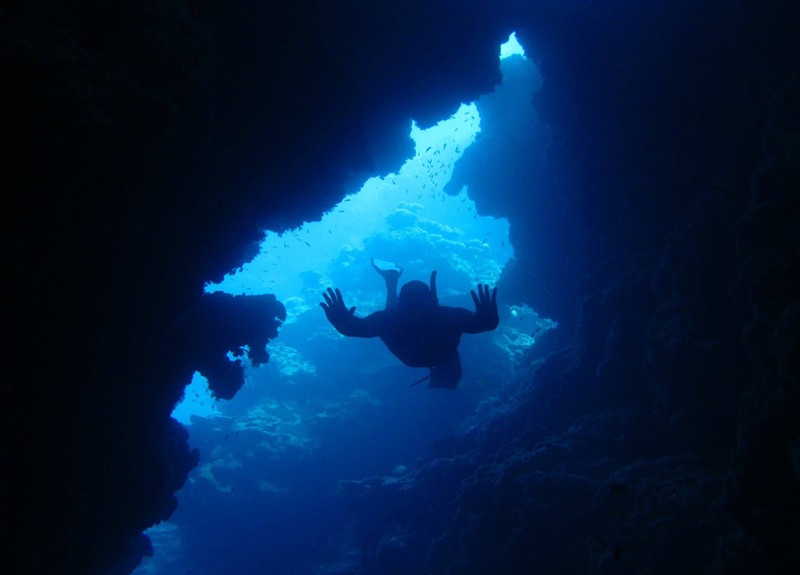 All freedivers require valid travel insurance which includes scuba diving in the policy. Please bring evidence of your insurance as the Manta Dive staff will check it upon the booking of diving, freediving or courses.